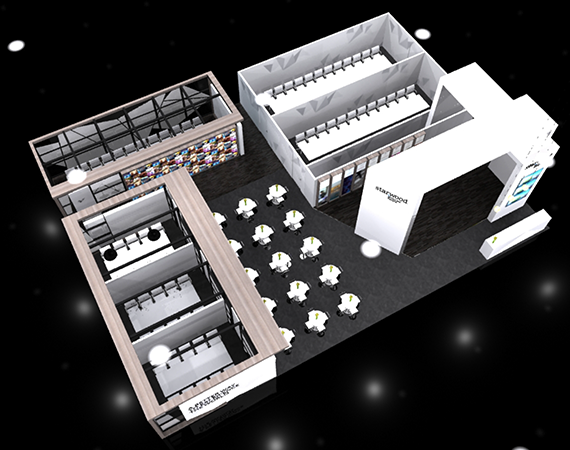 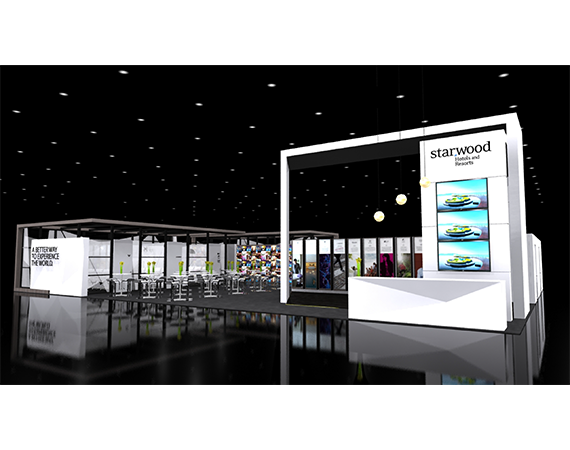 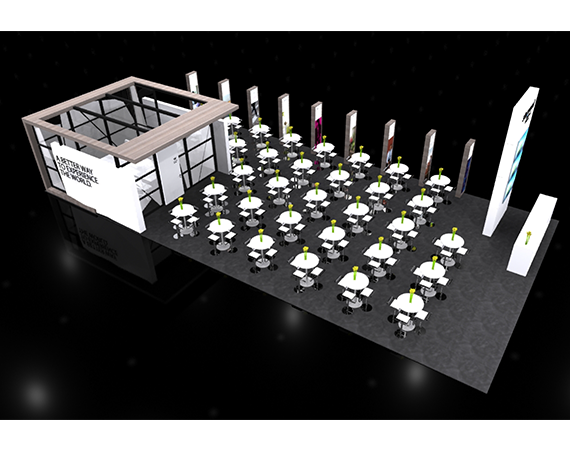 In 2012 Starwood took a look at it 10 year old aging tradeshow booth compared to its competitors and decided the time had come for a new booth. 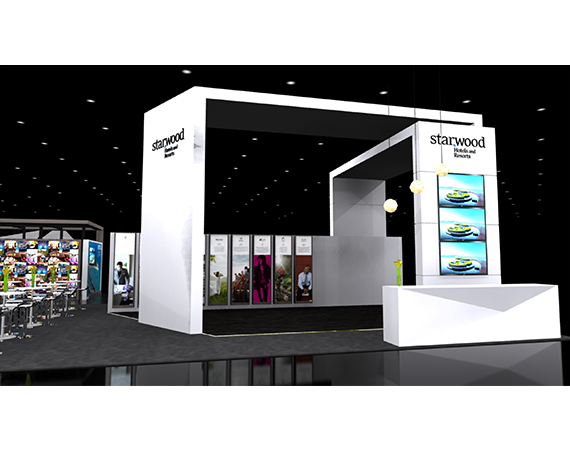 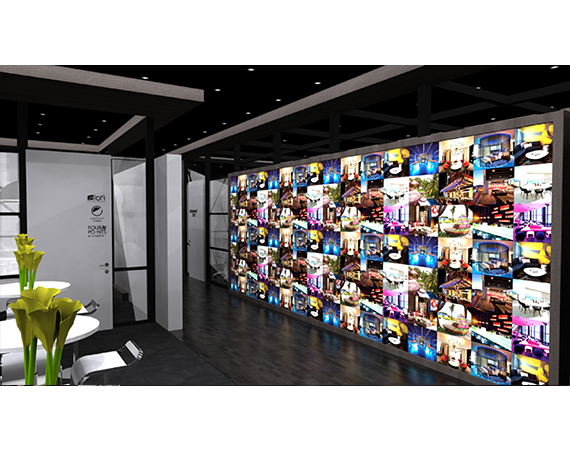 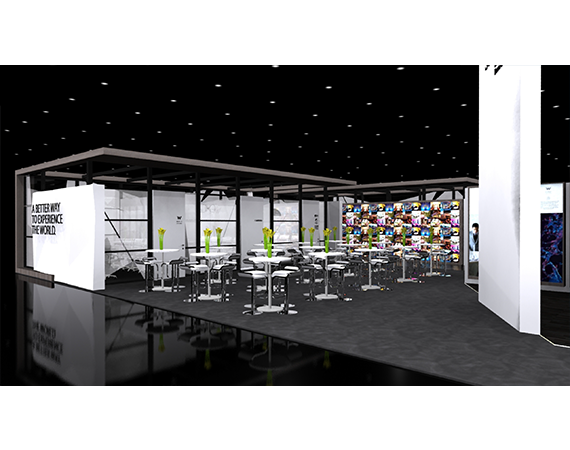 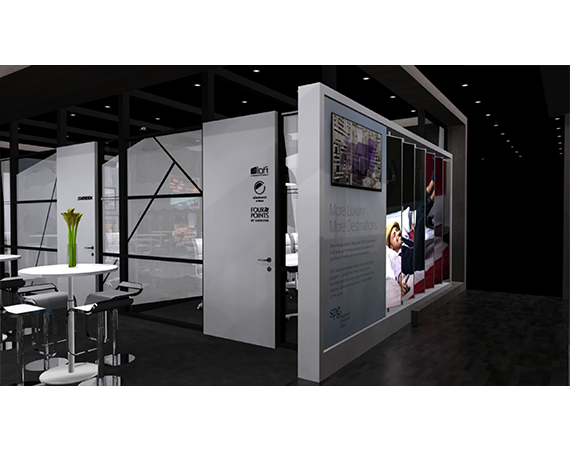 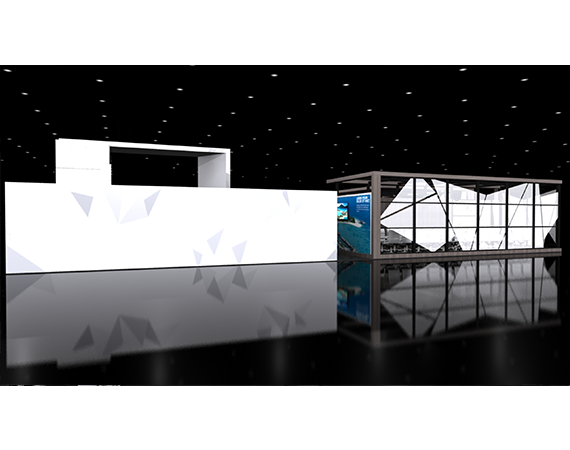 The Brand Design team was tasked with designing a new Starwood North America tradeshow booth that would present a consistent message and look for key Global Sales and Trade Shows. 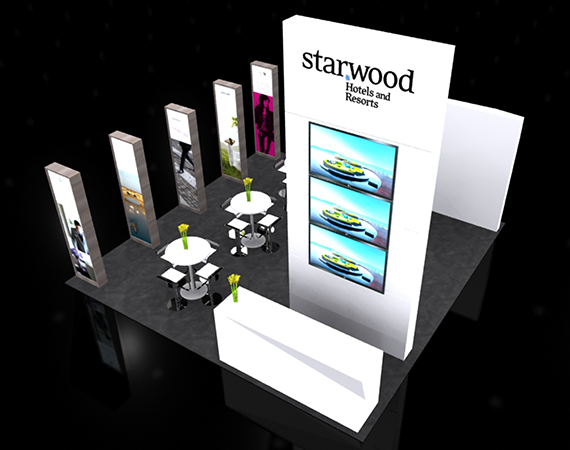 Similar to the ITB tradeshow booth the color palettes, the materials, furniture styling, graphic styles to even the spatial decor elements, were inspired and modeled after the Starwood Headquarters environmental design. 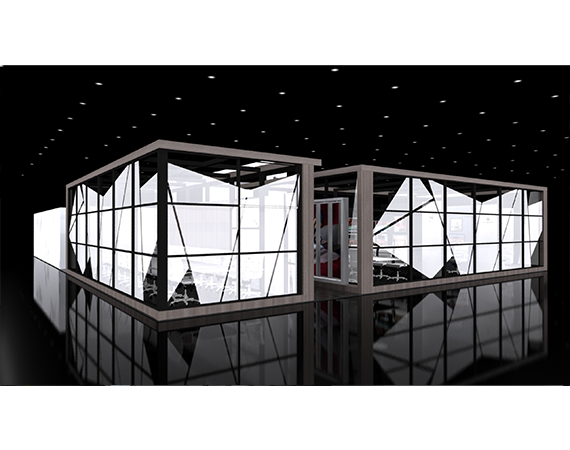 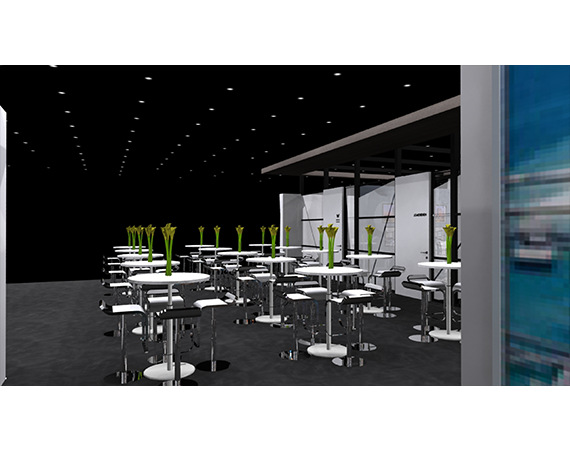 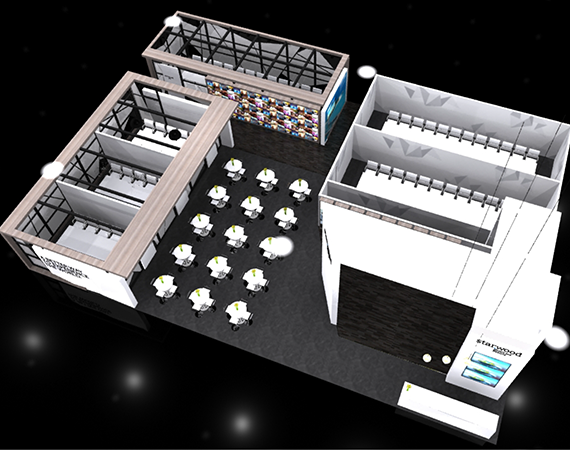 The new exhibit booth had to be able to accommodate various sizes; :50’x70’Island (16’ height), 20’x50’ Island (16’ height), 20’x20’ Island (12’ – 16’ height), 2 10’x30’ Inline Booths (10’ height), 30’ x 50’ Island (16’ height) and 30’ x 60’ Island (16’ height). 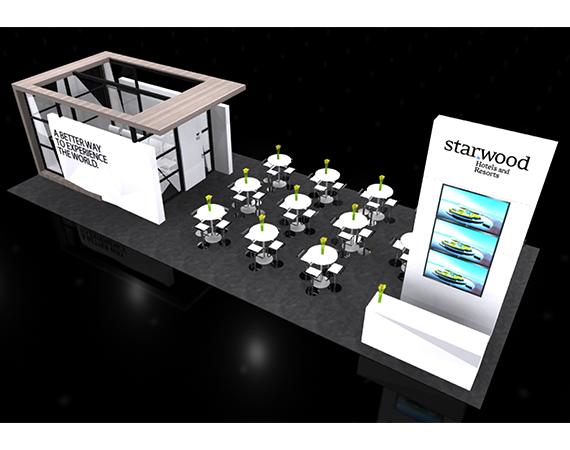 Represented each of the Starwood Brands as well as Starwood. 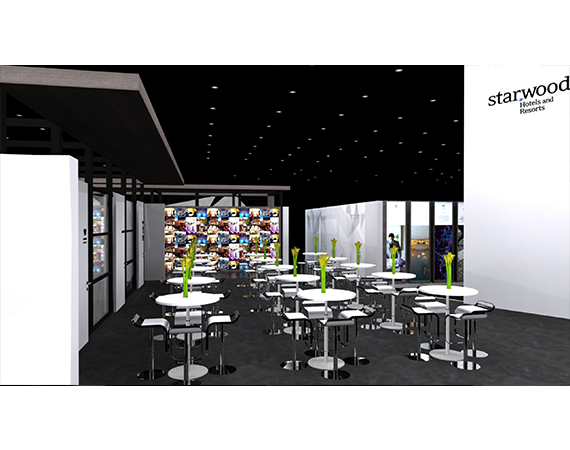 Branding can be updated as the brands are updated. 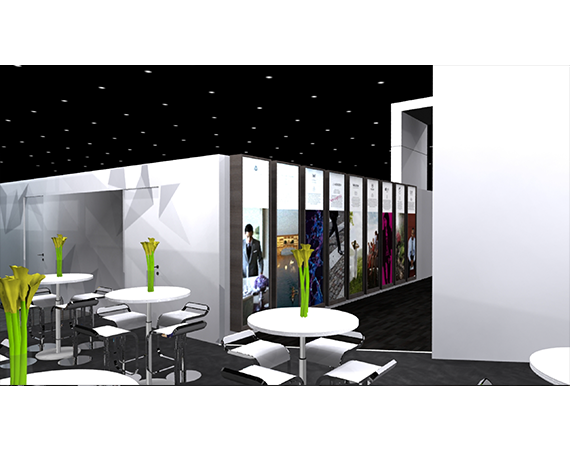 Feature area/space that allows for special branding and sales promotions. 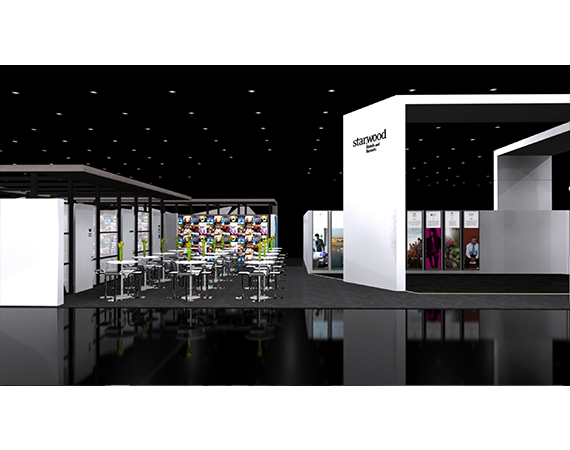 Lockable Storage space in booth that can accommodate up to 20 small to medium size boxes. 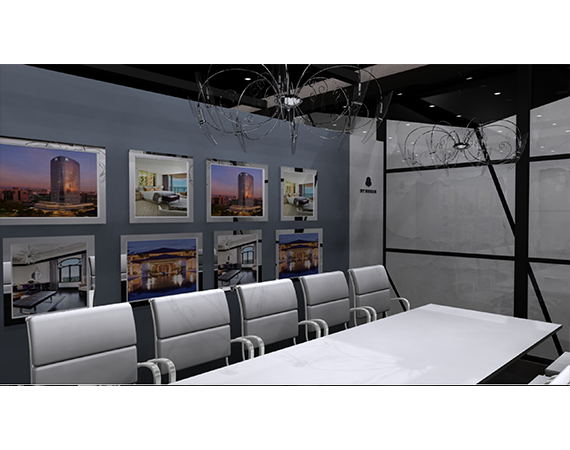 Casual one on one meeting spaces. 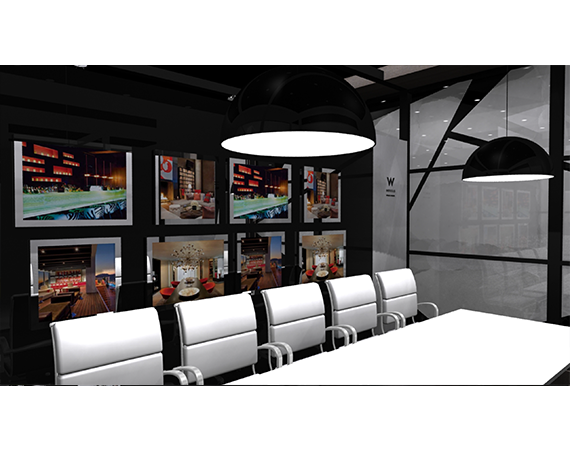 Built-in AV in all rooms.